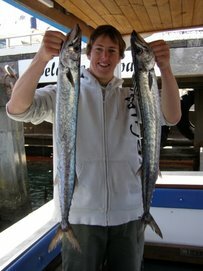 Fishing trips & bay cruises. Impulse charters has two boats for you to choose from. "Impulse" is our custom built 31ft Jaguar Hydrofield ideal for an offshore adventure. 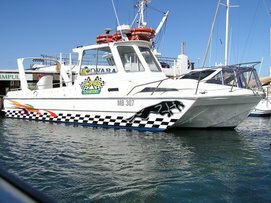 This boat is surveyed to carry 15 passengers in the bay or 10 passengers in bass strait. 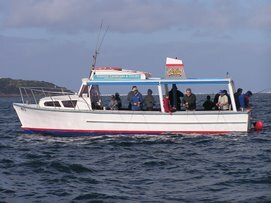 "Teri-Lyn" is a 34ft traditional timber boat and is fully equipped for a great days fishing in Port Phillip Bay. This boat is surveyed to carry 40 passengers. 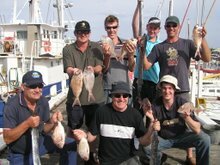 Quality tackle & bait supplied, Toilets on board, BBQ on board, water & soft drink provided, all fish cleaned & bagged. 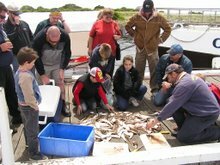 Charters depart from Queenscliff Marina, Larkin Pde, Queenscliff.